For those working through the international adoption process and waiting for a child, they may never experience the miracle of childbirth. Most think of adoption as more of a sterile paperwork type of process removed from the Hand of God. But as my wife, Marlene, and I prepared to travel to China in August of 1999, to adopt our little Abbi Li, we had no idea that the greatest of miracles lied ahead. One "coincidence" after another brought many adults to tears……. and brought two sisters together. The first week in China followed our adoption agency's, Children’s Hope International) , itinerary right down the line. We started touring Beijing, followed by flying to the central Chinese city of Wuhan, then receiving and adopting our beautiful daughter. Abbi was healthy and, after the first fretful night, generally happy. All in our group of ten American couples were adjusting to the new family members. We were to spend seven days in Wuhan waiting for the official adoption papers and passports to be completed. All of this was expected. It was the routine, all part of the process. But on the fifth day, Marlene and I would have to throw out the itinerary. God was going to reveal Himself, and shake things up. Here we are in one of the hottest cities in China, and on this August day our group decides to cancel the scheduled morning tour of the Yellow Crane Tower, because it is cool and rainy. So as not to waste the morning, we lined up on the spiral staircase in the hotel lobby for a group photo. While one camera after another captured the moment a Chinese family entered the hotel and started to watch us. This had become fairly common for the group because the sight of Americans with Chinese babies brought many stares. But soon this family was pointing and waving in my direction where I held Abbi. I realized that this must be Abbi's foster family, for Abbi spent her days in the Haung Gang Orphanage and nights in a foster home. I had recognized the father from the night we received Abbi. This whole scene now was a little unsettling, since the orphanage didn't want us to have contact with the foster parents. And yet here was the whole family obviously seeking out Abbi. But then it became clear as Marlene turned white and I stared in shock when we saw that the baby in the father's arms looked just like our new daughter. Both of us were thinking..."it's her TWIN!". She was smaller, not as healthy looking but all the same features were there. "She must be Abbi's twin sister..." And if that is true, we knew, at that moment, that we could not separate them. The foster family loved and cared for these girls for the first ten months of their lives. So at great heartache and risk, this couple with their other two natural born children, boarded a bus in Haung Gang for the two-hour trip to Wuhan. They would search for the hotel where five days earlier the father had delivered Abbi to her new American parents. There, they would try and show these Americans that Abbi comes in twos. Our reaction wasn't guaranteed. They probably just felt that we had to know before we flew out of China that a twin would be left behind. For some unknown reason the orphanage did not tell us about Abbi's similar looking foster sister. The answer may all come down to paperwork. Both girls were abandoned in Haung Gang on the same day but in different locations; so officially they were not twins. That meant Children's Hope was not informed that Abbi might have a twin. This even though the girls were placed by the orphanage in the same foster home and Abbi's foster sister's name was "Shuang", which means double. After a private meeting with the foster parents, our adoption coordinator, Helen Hu, sat us down to tell us she was pretty sure that the girls were twins. But if we even had a chance at adopting her, we had to prove it. 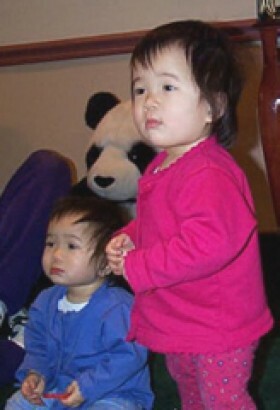 She explained how there is no record of these twin girls at the China Center for Adoption Affairs (C.C.A.A.) headquarters in Beijing. With out the natural mother to verify, genetic science was our only hope. Helen set up a DNA test for the following evening. The orphanage officials through the C.C.A.A. agreed to meet us with "sister" at the paternity laboratory of the Wuhan University Hospital. There, blood would be drawn from both girls and within days we would know for sure. As we ascended the stairs to the fifth floor laboratory, the thoughts I had over the past twenty four hours continued to creep in. "What if its not a match, do we just send this new orphan girl back? ", "If they are twins, will the Chinese government let us adopt her? ", that had never been assured us, and "If we are allowed to adopt, how long would the process take, days, weeks or months?" We entered the room where the testing would be done, there was the foster dad, smiling broadly as he held "sister". My faith was rekindled knowing that, my Lord, who gave this man the courage to come forward, would work all this out to His pleasing conclusion. Abbi was laughing and smiling, enjoying yet another reunion with her Chinese family. Two days in a row she got to see her sister and foster brother. The eleven-year-old boy would cradle Abbi and swing her up and down. She would be cackling out load, obviously familiar with the play. We had prayed for such love to be part of Abbi's life. After blood was drawn from both girls they were separated yet again. "Sister" and her foster family were back on the bus for Huang Gang and we were in a taxi headed to our hotel. The next day we were to board a plane for the final stop in the adoption process, the Southern China city of Guangzhou. There we would finish up the Visa paperwork for Abbi, then fly home. Members of our group were excited, as we all packed in preparation for our jouney's final leg. The beautiful five star White Swan Hotel awaited us for the final three days in China. Everyone was ready for new sights and new restaurants but most of all we were just that much closer to the States. As much as Marlene and I wanted to see home again, we had the heavy heart of uncertainty. But while we stuffed wrinkled shorts and dirty socks into our bags, Helen phoned with the results..."It's a match!". The DNA test proved Abbi had a twin. Not only a twin, but the doctors said that match was so close that they may be identical. Now the big question was, would the Chinese government let us adopt. Abbi was poked and probed for her Visa medical exam. Eyes teared up and cries rang out from all the newly adopted girls as they were checked for travel to America. The Gaungzhou clinic was about three-quarters of a mile from the hotel, so we had loaded up the strollers and paraded the babies down the streets to see the doctors. With a clean bill of health it would be two more days of paperwork and then home. Meanwhile, Helen was back in Beijing working with the adoption officials to approve our adoption of Abbi's twin. She not only had to present the DNA evidence; she had to convince the government that we were qualified and willing to take home two girls. Part of the equation was the sense of embarrassment at the Orphanage and the C.C.A.A. that these girls were going to be separated. At all cost they would try to avoid "losing face". But with the evidence staring them in the face, Helen had to assure them that we were not bitter and that we understand that sometimes mistakes are made. Every morning back in St. Louis, Chriss Bowman, a friend of Marlene's was receiving an email update on our twin surprise. Marlene spent evenings in the Hotel Business Center detailing our day and asking for prayer on our situation. Chriss would then forward our daily news out to friends and family. The story of Abbi's sister was cyber spaced all over the United States, as more and more people were added to the list. Eventually a transcript of our discovery hit the American Parents with Chinese Children web sight. Soon the adoption official who was monitoring this site back at the C.C.A.A. in Beijing, was reading what thousands of others in the States were reading. The story being read by that broad an audience didn't sit too well with the PR minded government. This could complicate the matter for Helen working with those officials and maybe end our chance at getting Abbi's sister. Again our group is packing bags. This time to go home. Once more, as departure is nearing, we get a call from Helen, "... get your bags packed, you need to fly back to Wuhan. They have approved the adoption". She said it would take about only six additional days in Wuhan to finalize the paperwork for "sister". Everyone was more than anxious to reunite the twins from Huang Gang. "Face" was saved; this was a victory for all involved. Needless to say we were thrilled. This was the best possible scenario. Not only would the twins be back together it would take only one extra week in China. Even though we had faith that this adoption would work out, we agonized over how and when we would fly back to China and how we would afford it. Money was still an issue; just less of one. As with Abbi's adoption we would need several thousand U.S. dollars, and we were fresh out. No ATM to bail us out. Members of our traveling group had prayed with us, encouraged us and followed the events over the past week very closely. Our exciting discovery of Abbi's twin was an emotional web that captured all who came close. So when they got the word that we were to fly back to Wuhan, our companions started to flood us with hundreds of dollars, clothes, toys and even a stroller. Everything we needed to take care of our newest daughter. Friends for only two weeks, now friends for life. While Children's Hope in St. Louis was rearranging our travel, Helen was organizing the itinerary for the adoption and setting up a guide and transportation for us in Wuhan. She also would need updated paperwork from St. Louis faxed to us, then faxed to Beijing. Late into Wednesday evening, less than tweleve hours before we would arrive in Wuhan, a province register was working on "Sister's" paperwork.. When it was completed, a friend of Helen's took them to the Wuhan train station for an overnight trip to Beijing. Helen would pick them up the next morning then usher them to the appropriate officials. In order for us to complete every part of the adoption process in six days, Helen along with C.C.A.A. workers and officials at the Hubei Province level would work many long hours. 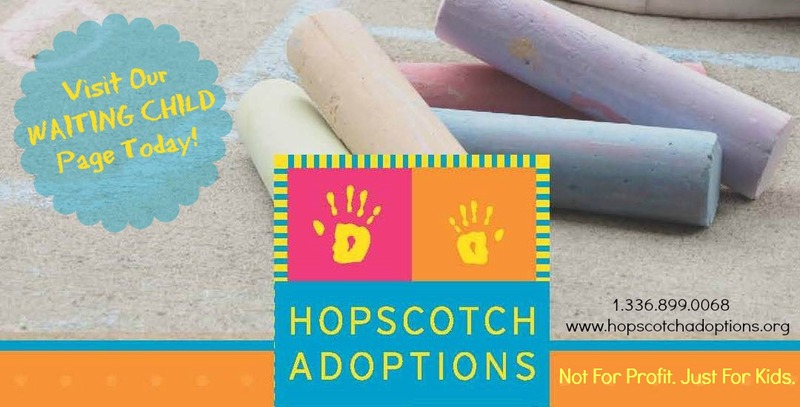 Adoption referrals generally take months after paperwork is submitted. "Sister's" would take a couple of days. Friday would be reunion day. The girls would be back together, this time for life. As we strolled through the elevator door, lined up in front of us in the hotel lobby was a group of seven people, many of whom had a role to play in this whole miracle. Included was the director for civil affairs in Hubei Province and a representative from the Huang Gang Orphanage, who was holding "Sister". All of them were smiling as we emerged. The one who seemed most pleased was the Director of Civil Affairs, Mrs. Liao. As she handed Marlene, "Sister", she said through our interpreter, that in order for this to happen, "this child was dropped from Heaven". She knew a miracle when she saw one. Marlene was now holding ours. Once back in the room, it is as if Abbi figured out what was happening. She was almost giddy. Her sister...her twin sister was going to stay this time, no more separation. She was laughing as she tried to engage her by sharing stacking cups. But "Sister" was in shock as all new adoptees are. She was withdrawn and sobbing. As Marlene changed her clothes we could see the extent of the skin sores we caught a glimpse of in the hotel lobby. Blisters in all stages covered her body. She was also running a fever. So to top off the fear of these two new people who don't sound like her or look like her, she felt lousy. During this time in Wuhan, athletes from all over Asia were staying at our hotel while they competed in a weight lifting competition at the arena across the street. Many of them became friends with the girls and us during the week. But on that first night with "Sister", Marlene found herself alone on the elevator with a man she thought was competing for Iran. She asked how he was doing in the competition and he smiled and told her that he wasn't a lifter but was the team physician. She promptly told him about her sickly new baby. He then reminded her that there isn't a very good relationship between his country and hers. So she told him, "I don't know much about that, I'm just a mother with a sick child". And he responded, "And I am just a doctor. So I will see your child". That night and the next several nights Dr. Shariff came by our room to check on "Sister". After telling him the whole story of the discovery of the twins, he said with misty eyes, that there was no English translation for the Arabic word that describes the honor it was for him to help our new child.